Can you believe my last blog post on ‘And Then We Moved To’ was 8 months ago? Well, if you’ve been following the blog on social media, you’ll know that something was definitely cooking. That’s right, I have been busy working on putting together a MEGA blog post for you in the form of my newly published book called ‘This Messy Mobile Life: How a MOLA can help globally mobile families create a life by design.’ If you enjoy reading about living a global life, you will definitely enjoy reading this book too! Since the news came out and the book became available to pre-order, many of you asked me what prompted me to finally write this book, how hard was the publishing process, where did I start, and how did I get a publisher? In other words, many of you wanted to know the back story. Which I totally get, because I often find the back story behind any big idea or project really interesting, too. And I feel it is also a great way to help those who may be looking for tips or ideas or insights on how to do the same. The back story also helps to show how success in anything really takes shape; through trial and error, through stop and start, through procrastination and determination, through the good days and the bad, which helps to paint a more realistic picture, in my opinion. So here it is; the backstory behind the book and some important life lessons along the way! Rejection hurts. But it can also serve as a great catalyst if we use it to spur ourselves into action. 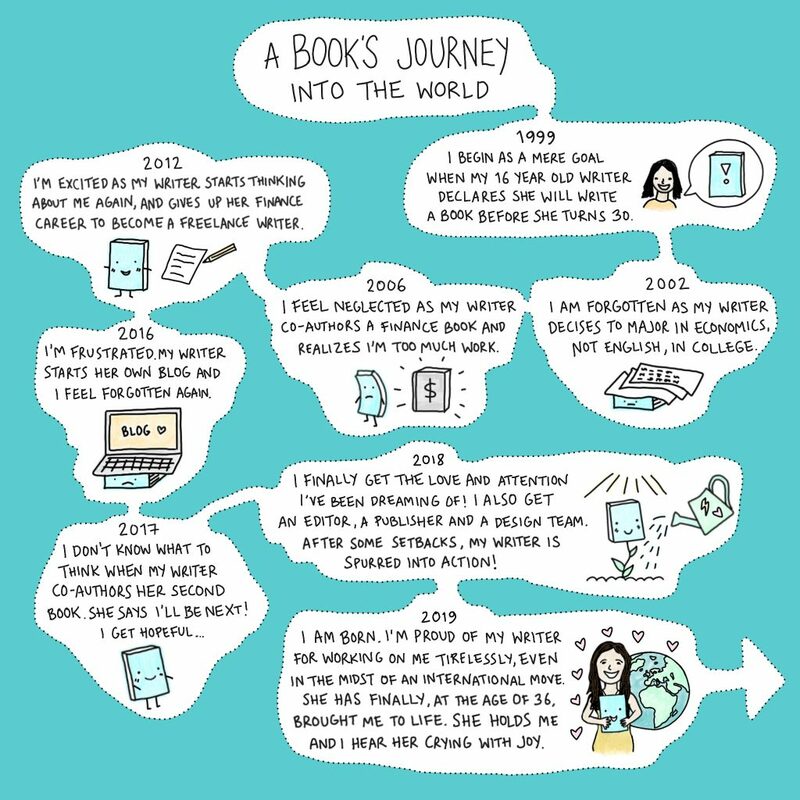 In my case, it was my wake-up call to finally get serious about writing a book for globally mobile families, who move around the world and encounter different cultures, languages, traditions, norms, experiences which then changes their identity, sense of belonging and idea of home. I had a few ideas in my head about how I wanted to write about this, but I didn’t know where to start. 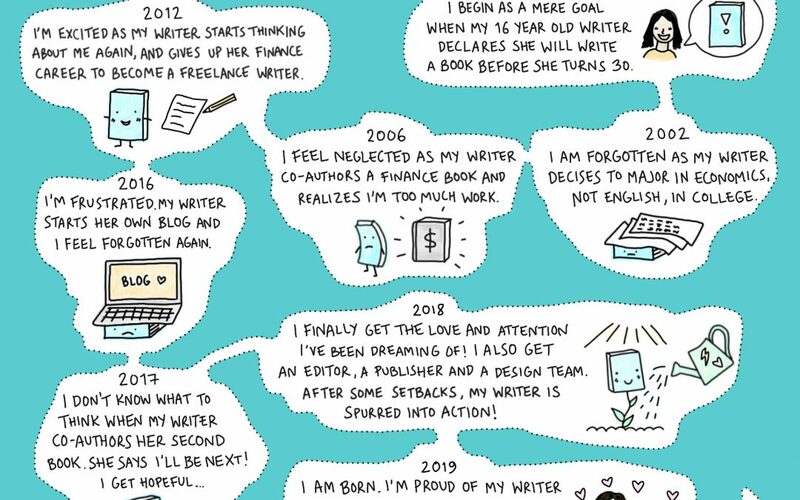 And like most people starting anything big or new – I also suffered from massive self-doubt; was I a good enough writer to write and publish a book? The next day after the WSJ rejection, I decided to ignore all my self-doubt and sent a message to my writing mentor Jo Parfitt. Every writer needs support whether it is in the form of a writing support group or a writing mentor or through other professional networks. This is true for most careers – none of us can work well in isolation. I had a trusted relationship with Jo already, I was one of the writers who had been chosen for and completed a Parfitt Pascoe Writing Residency scholarship funded by her in 2017, we had worked on several projects together related to global literature including contributing and co-authoring a book to summarize the findings and research from the Families in Global Transition conference in 2017, with a team of writers from all around the world. If you ask people what the cornerstone to success is, most people will say “hard work”, “determination”, “not giving up” etc. I think the cornerstone to success is simply believing in yourself. Self-doubt gets you nowhere. In fact, it can paralyze you. But believing in yourself is crucial in any career. Especially more so as a writer, since if you don’t believe in yourself, no one else will either. This was going to be my debut book. I had no clue how to get started, but simply by believing in myself and my idea and reaching out to the right people who could help me get there, I was already off to a promising start. Each time I slipped into a “what the hell am I doing” or “am I good enough” mode, I told myself, I will figure it out and get help when and where I need it. Admitting I wasn’t an expert in the book, or the publishing world simply meant I had a lot to learn and learning is a great way to counter those self-doubt demons. When you are learning, you are improving yourself and your knowledge – a far more productive use of your time. We live in a world where everyone’s looking for a quick fix. A quick read. A quick solution. A quick implementation. But when it comes to writing a book, it’s important to take your time. And that’s what Jo helped me do, as she became my official book editor. Before I wrote even one word of This Messy Mobile Life, I planned each and every aspect out in full detail with her help. I made an entire Table of Contents, I even wrote the back-cover book blurb first! Once you can summarize your book in a few sentences, you have really defined its core and then you can begin to work on it. I also outlined what my expectations were from writing this book, what did I hope to achieve and how would I define success? Key, crucial questions that every author must ask themselves before writing their book. It soon became clear that the kind of guidebook I wanted to write was going to be a complex book with many different components. I needed to do some research first, conduct a survey, gather information, ask a few experts in various fields to contribute and then combine all that with my personal experience to give globally mobile families their own toolbox in living this messy mobile life. Don’t rush the process. Commit to the process and make realistic timelines. As agreed with my editor Jo, I gave myself two months to do the pre-planning for the book. I gave myself three months to finish the research. I gave myself a month to contact 9 experts from the fields of culture, language and mobility to contribute their expert advice to the book. I gave myself a year to write and re-write the whole book. I gave myself three months to allow for proofreading, getting feedback from beta readers, editing and design. What I didn’t plan for, was that I would have to make a major international move to a different continent in the middle of writing my book. When I was knee-deep and about half-way through the writing process, it became clear that we were moving countries. My husband and I agreed to say yes to a new job offer for him that would relocate our family of four from Dubai, UAE, to Accra, Ghana in August of 2018. This international move from the Middle East to West Africa was a massive change and upheaval for all of us. I had to be realistic about how much I could work on my book in the midst of the transition period. As a seasoned expat, moving to my 9th country, I knew the transition period would be rough. I decided to keep working all through my summer vacation in July instead (while I was traveling in Europe and visiting my in-laws in Germany), in order to be able to take the whole month of August off, to settle my family into our new life in Ghana. But I had underestimated that I was moving to a hardship location in Africa, where things take longer. When August turned into September and I was still living in a hotel, I started to get worried. And stressed out. I was behind on my deadlines. My container was stuck. It would be weeks before I could unpack my writing desk. And who would unpack the rest of our lives? Who would help the kids to settle into their new schools? Who would get our household up and running? The irony was that I was not just writing about this messy mobile life, I was also living it, right there, right then. Disruption ironically turned out to be enrichment and a source of inspiration. I write about instability after all. I processed all my feelings on paper, by sitting down and writing about it. September, October, November and December 2018 were the four busiest months of my life where everything was coming at me in one go. I almost broke down. I almost gave up. I almost said, “this is too much” and “I can’t do this.” I almost slipped into depression and a dangerous downward spiral. Who kept me from throwing in the towel? My husband. People often told me that success in your career depends on who you are married to. So chose your partner wisely. When the going gets tough, your partner is truly the one who can help you make it. In my case, I needed not just emotional support but practical support to run the household, to help with household chores, to do the grocery shop, to cook dinner, to do the school runs, to do the kids bedtimes etc. In a nutshell, I needed support in all these areas of my life just so that I could shut myself up in my home office for at least 5 -6 hours every morning and write. Just so I could finish writing the book. This also included a lot of re-writing, which took up a huge chunk of my time in the evenings. My husband helped out with the kids so I could finish a family dinner and then go straight back to work while he brought the kids to sleep (read to them/did bedtimes routines etc.). We hired a lovely Ghanaian housekeeper who helped me with unpacking boxes, setting up our household, running the kitchen and helping out with grocery shopping which was proving to be my biggest headache, since sourcing ingredients could often mean a trip to four different supermarkets or shops. And I couldn’t afford to waste a morning looking for avocadoes or fresh basil. It’s really quite interesting to analyze, but most people give up when they’re already in the home stretch. I liken it to giving birth – it’s that last phase of transition when the pain level reaches so high that even though you’ve done all the breathing, the visualizing, begged for the drugs, prepared your birth plan – but suddenly the pain peaks and is so intense you feel as if you can’t possibly push this baby out of you. You also know that this is the point of no return. Human nature is endlessly fascinating. Why do we feel like giving up when the end is so near, we can practically feel it and touch it? Resist the urge to give up when you’re almost there. Ironically, this is when you’ll be most tempted to give up but resist it. Don’t keep it to yourself. Tell everyone what you’re working on. Tell the people around you to ask you to share progress. Talk about your book, your project, your business whatever it is you’re working on. Sharing it with our friends and family keeps us accountable. It keeps us from giving up in that home stretch. When I heard myself say this a few times in my head, I decided: right, I needed to start telling people in my new city of Accra that I was working on finishing my book. People who I had just met were interested, excited and eager to know more. My new friends in Ghana kept me going in this crucial phase. Mariam I loved going through your back story behind your book! They say dream big, set goals and just believe in yourself and that’s what you did! Daddy and I are super proud of you my dear! Wishing you all the best for your debut book and also for all your future endeavours! God bless you ! Thank you Mandy! I’m so happy to hear you enjoyed reading the backstory of the book and are looking forward to reading the book. I would love to see it on your bookshelf too 🙂 I hope it will help to inspire and guide many other expat and globally mobile families around the world.